You can’t have failed to notice that the General Data Protection Regulation is coming into effect soon. From 25 May, you will have to comply with a new range of requirements around the ways you use client and prospect data. We have looked previously at how the new regulation will impact Sales teams– but with the requirements becoming clearer all the time, it’s worth revisiting the new rules and how they will affect you. Just last month, the Financial Conduct Authority (FCA) and the Information Commissioner’s Office (ICO) issued a joint update outlining how they will work together to regulate the new requirements. Regulated firms will need to continue to meet the financial regulator’s rules, as well as abiding by the GDPR. There are a lot of overlaps between the two – and some advantages for regulated firms when it comes to being prepared for the GDPR. But there are also specific requirements which you won’t meet just by complying with FCA standards. Because there was initially a lack of clarity around the new regulation, a number of myths sprung up. You can find out the reality behind some of the rumours by reading our blog on GDPR – sorting the myths from the reality. For instance – a lot of the talk around the GDPR focuses on consent, and the need to get appropriate opt-ins from contacts. But did you know that consent is just one of the six ‘lawful bases’ you can use to process individuals’ data? One of the others may be more appropriate for you – find out more in our blog on GDPR myths. Assuming that consent is the best or only way you can process data is one of the pitfalls you need to avoid. Find out more about this and the other GDPR sales pitfalls. We also know more now about the penalties firms will face if they don’t comply with the new requirements. 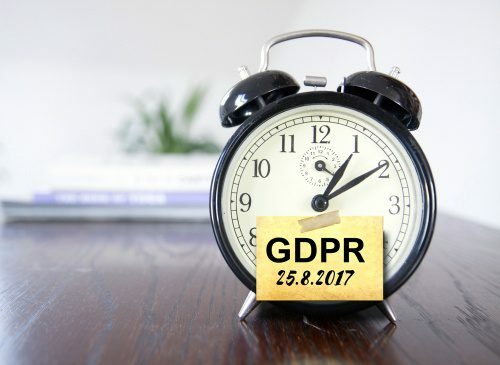 Any organisation in breach of the GDPR will face potential fines of up to €20m (£18m), or 4% of the firm’s worldwide turnover. When you consider this alongside the potential FCA fines for breaching financial promotions rules, the possible impact of a non-compliant sales process is clearly significant. But it’s not all bad news. Increasingly, people are starting to talk about GDPR as an opportunity, rather than a threat. How? Because it focuses marketers’ and business developers’ minds on truly engaging the smaller pool of prospects that remain. When you ask people to opt-in to receiving your content, in theory you should only lose contacts who aren’t interested in what you have to say. And why would you want to talk to them anyway? The key to maintaining close relationships with the contacts you are interested in is to produce engaging content. Relevant briefings, events, blog and thought pieces will engage your contacts. Marketing channels that aren’t covered by the legislation – like social media– will also grow in popularity. If you’re taking more responsibility for content, you’ll want to make sure your production processes are as slick as possible, so you can get compliant materials out faster. Automating your content production or distribution processes can help. An automated process can minimise the time you and your Compliance team spend drafting, reviewing and approving sales collateral. It can dramatically cut your admin, reduce duplicated effort and avoid a paper-based approvals process. All of which gets your content published and out to your contacts faster. The GDPR rules are now clear – and firms should be aware of the steps they need to take to comply. Make sure you are up to speed with the regulation’s impact on Sales, and take action to ensure you meet the requirements. If you want to find out more on ways we could help contact us.